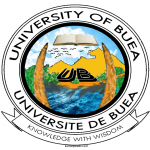 The Vice-Chancellor announces that the University of Buea undergraduate admission list for 2015-2016 has been released. It has mainly GCE holders and a few BAC candidates who completed the admission process. Due to popular request, the admission portal shall be open from 17 – 24 September 2015, that is, for one week. We urge all applicants without exception, who have not completed the application to do so. This is the last opportunity. The portal will be closed on the 24th at midnight. Those who submitted applications can consult the list here to verify whether they have been admitted on the first list. Those who submitted an application but were not selected, should appeal by presenting themselves in the Admission Office, Room 103 opposite ASTI block.